The rumored LG G3 Mini D722 which has passed through FCC days ago. Until then we did not know the final market name of the device. It’s variant LG D729 has been show off in China as G3 Beat. 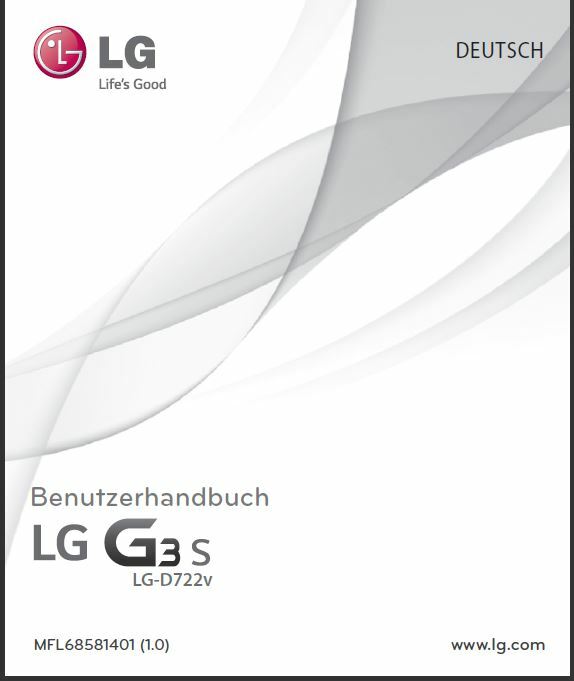 Now It is confirmed that LG will release the D722 as G3 S in Europe, Since we have already got the offcial user manual for the LG-D722V in which the handset is listed as LG G3 S.
The LG D722 will feature a 5″ IPS LCD 720p HD screen, a 1.2Ghz quad-core Qualcomm Snapdragon 400 processor, 8GB of onboard memory storage, 1GB of RAM, 2,540mAh battery, 8MP back camera with OIS, a 2MP front facing camera.It will also feature 4G LTE network connectivity and is running Android 4.4.2 KitKat with LG’s latest UX. For reference, the D722 is headed to Europe, the DS722V is tailor made for Carrier Vodafone, the D722K is on its way to Taiwan HongKong, Singapore and other Asian countries. Sorry, The Korea LG-F470L G3 Beat Confirmed with 1GB of RAM. and the other Sites show 8 GIG Memory and 1 GIG RAM ?